MUST WATCH: Terrifying Secret Behind 11:11 Numerology Revealed! Since we were children, we have always heard certain superstitions and beliefs from our grandparents. They were observing all our actions and advise us about those which do not align with their beliefs. One of the most common views is about numerology. 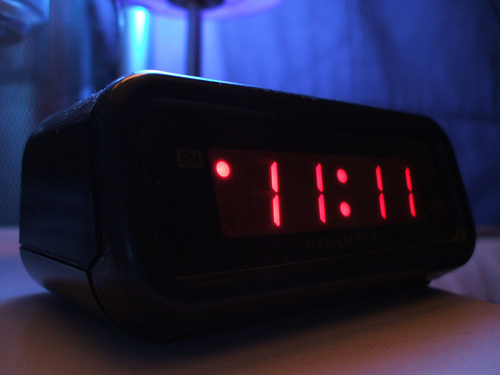 Many believe that seeing 11:11 displayed on a digital clock has a deeper meaning. They say that it is connected to being successful and can be associated with good spirit. According to a famous spiritualist, therapist and psychic medium named Doreen Virtue, the number pattern means that your spiritual power is developing. Aside from that, she said that angels use these number patterns and music to communicate with us. Furthermore, Virtue pointed out the repetitive number sequences is a form of message from our guardian angels. They are even called "Angel Numbers." They can help you to direct positive energy and put you on the proper path for success.